As much as everyone loves to poke fun at the cheap and dinky Huawei (does anyone know how to pronounce that correctly?) phones, the Chinese manufacturer is at the forefront of bringing Android to the developing world on a massive scale. And why should we care? Because access to cheap Huawei smartphones not only gives Android a firm footing in the technology-thirsty developing market, but also expands the possibilities for education and access to information in poor rural areas. With its very basic phones, Huawei is making inroads in places like Kenya by providing people with phones under $100. With prices falling rapidly, the developing world could potentially boost Android to smartphone supremacy on a global scale. In Kenya Huawei made the bold decision to lower the price on their low-end IDEOS smartphone to just $80. In less than a year, over 350,000 Huawei IDEOS devices were sold across Kenya - a country where the average wage is just $400 a month. Obviously, $80 is still a hefty sum to shell out for a cell phone, but it's a step in the right direction. 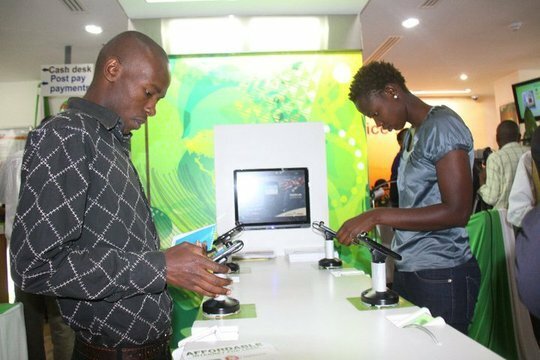 Partnering up with Kenya's main telecom operator Safaricom, Kenyans are able to get access to 500MB of data for just $5 a month. Pushing smartphones in places like Africa has its pros and cons. For sure cheap smartphones with affordable data are a great alternative to costly laptops that are outside of most people's budgets. And as much as people argue about the benefits of Twitter and Facebook, giving people more access to information can only be seen as a plus. At the same time these Huawei devices tend to have a pretty poor battery life, which is a huge setback for people living in rural areas with limited access to electricity. Right now Android has a clear advantage over its competition in the developing world. It is highly doubtful that Apple will ever release a budget device for developing parts of Asia and Africa. As a result of Android's open-source nature, there will always be new manufacturers cropping up with ever cheaper devices. And this is exactly what many countries are desperately in need of. As a result, Android phones could be a catalyst for increased development, education and even job creation in developing rural areas across the globe. Let's hope that Android can combine making money with spreading smartphone technology at affordable prices to economically deprived areas of the world. Agrees in the communist government will profit from it. but the thing is that Huawei is going to make profits off of this and people are going to be left just as poor as they were and with a pretty crappy phone. Don't see the benefit of it. Apple Is not honest! They lie, cheat and steal just like every other big corporation in the world! Just another way to make a ton of money off of poor people. At least Apple is honest and doesn't even try to reach for that market. It's a great idea and I've also heard of people in Africa using boiling water to generate electricity. At first I was like $5 bucks a month for data! That's crazy cheap, but given the local wages it's still reserved for the elite. i had a hauwei.. its not all that bad, but it isn't the best. i have no clue how to spell it or pronounce it.